The college is located in Malviya Nagar at the heart of South Delhi giving the students ample opportunity to have chill out places such as Select Citywalk, DLF, MGF Malls just within 2kms from the college . As coming towards the education side the college is imparting higher education in commerce, humanities and social sciences since 1967. B.COM and Economics Honors have been most preferred courses. It is one of the leading colleges of Delhi University and ranked 8th in all commerce colleges under Delhi University. The college has a great infrastructure and fully ventilated classrooms, centrally air-conditioned library with facilities like e-resources. The college canteen serves as a lifeline to students and teachers when they are craving by providing hygienic and delicious food. 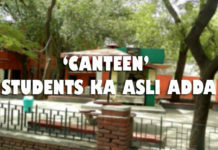 The canteen is also famous for its luscious Rajma chawal. The college is also having a football field, basketball court, and facilities for several other games. The classrooms are equipped with projectors so as to provide better chances to the students to enhance the process of learning. Now as far as alumni’s are considered the name of SIDDHARTH MALHOTRA (ek villain & student of the year fame) being an economics student of the college is enough. Delhi University is also known for its glamorous side for this college have several events like unofficial fresher’s party and the best part is unofficial trips to places like Goa and Shimla. Student Union of the college has the responsibility of organizing the college fest in which they have always succeeded by bringing fames from Falak Shabir to Honey Singh and J Star singing live in the college. The college is also having various societies such as music society, dance society, dramatics society and many more. Sangharsh the dramatics society of the college was awarded the prize for best dramatics society amongst all the colleges of Delhi University. Students who have a dream of serving their nation by joining Defence Services can take their first step by joining NCC which is provided by the college. The college also has an official fresher’s party in which awards for Mr. & Mrs. freshers are given. 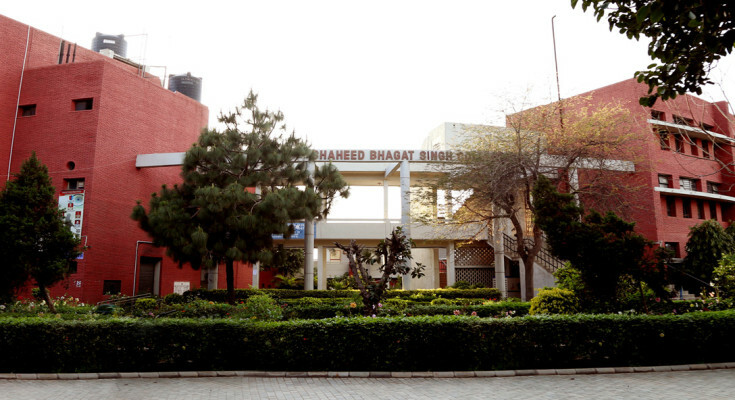 So for all the fresher’s who are thinking of taking admission to Shaheed Bhagat Singh College for their higher education please beware as you are going to be a part of a great institution and also the hottest crowd of Delhi who are considered as the trendsetter.